Exmouth is a town on the tip of the North West Cape in Western Australia. We've included these beaches for you: Turquoise Bay and Ningaloo Coast World Heritage Area. 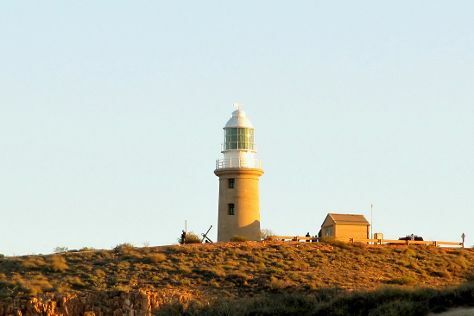 Get a sense of the local culture at Vlamingh Head Lighthouse and The Ningaloo Gallery. Spend the 21st (Fri) exploring nature at Mandu Mandu Gorge. There's much more to do: have unforgettable encounters with a shark diving experience, see exotic creatures in open habitats at a safari tour, explore the activities along Yardie Creek, and cruise along Cape Range National Park. Plan trip to Exmouth with our itinerary maker to find out where to go and what to do. June in Exmouth sees daily highs of 76°F and lows of 55°F at night. Wrap up your sightseeing on the 22nd (Sat) early enough to travel back home.